A blank page can be quite intimidating – but preparing for the essay before the test can help prevent writer’s block! 1) Read the essay assignment first and the prompt second. What determines success in life is not intelligence or talent, but character: those qualities gained both from living in an honorable and straightforward manner and from learning to deal with disappointment and hardship. Without character, an individual has no hope of true success. Even when competing against opponents of considerable intelligence or strength, those individuals who possess strong character will ultimately win. Assignment: Does a person’s character determine that person’s success in life? Plan and write an essay in which you develop your point of view on this issue. Support your position with reasoning and examples taken from your reading, studies, experience, or observations. The first step is to read and understand the assignment. The question asked is what your essay needs to address, and if your thesis doesn’t tackle this question your essay will be considered off-topic, no matter how many paragraphs you add on! Then see if you have any immediate thoughts or reactions to the question. Reading the yellow box text can then help explain or illustrate the assigned question, or may inspire you explore the topic from a different perspective or devise additional aspects. At first glance, topics may seem abstract and difficult to think about, but trying to put them in your own words or relate them to your personal experiences is a great way to get your creative juices flowing. 2) Brainstorm and organize first on scratch paper. Don’t be afraid to use your scrap paper! Under all that time pressure, it may be tempting to just dive right in to writing your essay, but make sure to take a few minutes (not too many!) to try and build an outline. Making sure to have clear organization with a thesis in your introduction, relevant topic sentences at the beginning of each body paragraph, and a conclusion to summarize at the end is necessary for a high score, even if your thoughts did not come in perfect order. 3) Legibility and length are important, grammatical perfection and content are not. Currently, SAT essays are scored by two different human readers (though in 2015, CollegeBoard is planning to instead use a computer program). 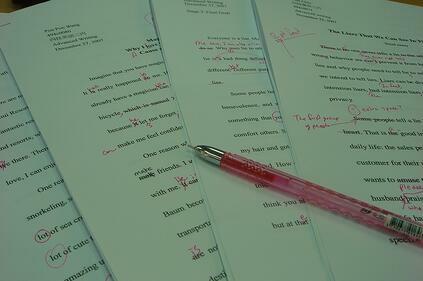 These graders read through hundreds of essays, spending as little as 2-3 minutes per essay – thus, it is important to have legible handwriting and organization (see #2 above) to convey clarity to graders, while minor errors in grammar and subtle reasoning may go unnoticed. And unlike writing for your normal coursework, it is always a good idea to bulk up your essays with fluff, as longer essays are correlated with higher scores independent of content. Don’t worry about writing a perfect essay, you can make mistakes and still score two 6s. 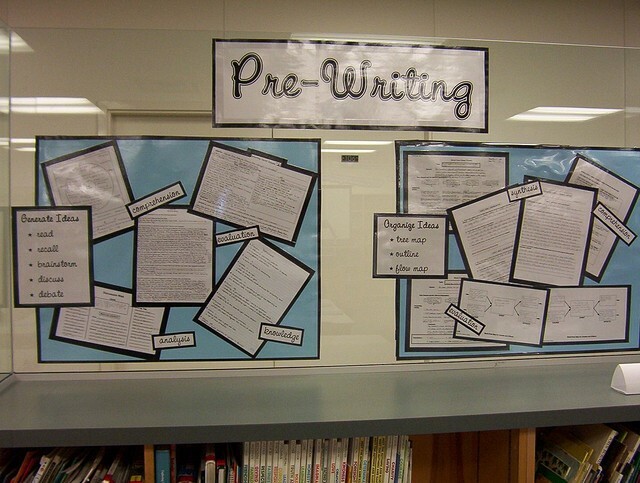 4) You can practice for the essay section. Many students neglect preparing for the essay section, because there isn’t a clear list of topics to cover or vocabulary words to memorize. But there are several ways that you can improve your essay even before you receive the test day prompt. The CollegeBoard posts essay prompts from former SATs online, so reading them and writing practice essay responses (under time conditions) can help you with skills such as transitioning from brainstorming to outlining. It is also important to have a few prepared anecdotes, quotes, or examples from works of literature, art, film, history, etc. to use as support in your essay body. Try to pick stories or topics that are broadly applicable to a variety of questions so that you don’t have to memorize too much! And don’t worry, quotes, dates, and names don’t have to be 100% accurate. Make sure not to get discouraged, writing takes practice. And Cambridge Coaching is here to help, with expert SAT tutors in New York, Boston, and online who can help review your essays and improve your score!